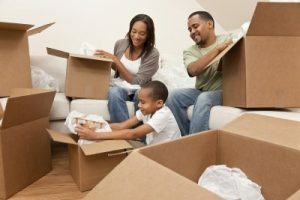 When searching for a moving company in the Atlanta, Georgia, area, you may be concerned about how to make sure that you are partnering with the right one. There are so many movers available to choose from, but not all have the kind of expertise or moving equipment that may be required in order to get the job done right. Thankfully, there are many ways you can figure out if a moving company is worth hiring. How long has the company been in business? – The longer a mover has been in business the more promising they are, since they have likely acquired plenty of expertise to deliver reliable moving services. Is the company licensed and insured? Every mover should have a DOT number that is valid, along with insurance. If they can’t product these credentials, do not partner with that company. Does the company have any accolades? – If they haven’t earned any recognition for their services, or have an unsatisfactory rating from organizations such as the Better Business Bureau, chances are the work they provide is mediocre at best. If you are looking for a moving company that answers favorably to all of these questions, turn to Bulldog Movers. We area a licensed, bonded, and insured company that has been operating for more than three decades and has an A+ rating with the Better Business Bureau. Contact Bulldog Movers today for more information about how our moving company can assist you during your relocation to or from Atlanta, GA.